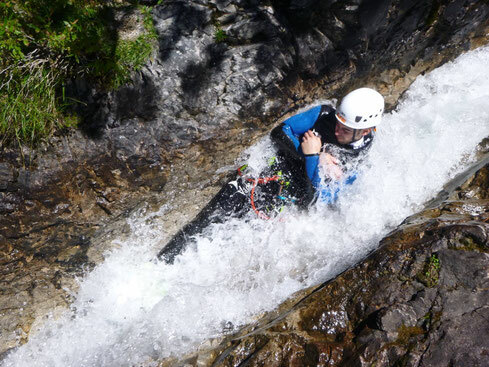 Canyoning is travelling in canyons and following the water by using proper equipment and a variety of different techniques. That may include other outdoor activities such as walking, sliding, scrambling, climbing, jumping, abseiling (rappeling), swimming and many more. Jump at the chance, set a date and join us on an unforgettable adventure including places you usually never might see!